4k00:23Driving through the California desert to Death Valley National Monument. Highway scenic landscapes of winding mountain roads an straight sloping long roads. Long views of volcanic terrain and plants. 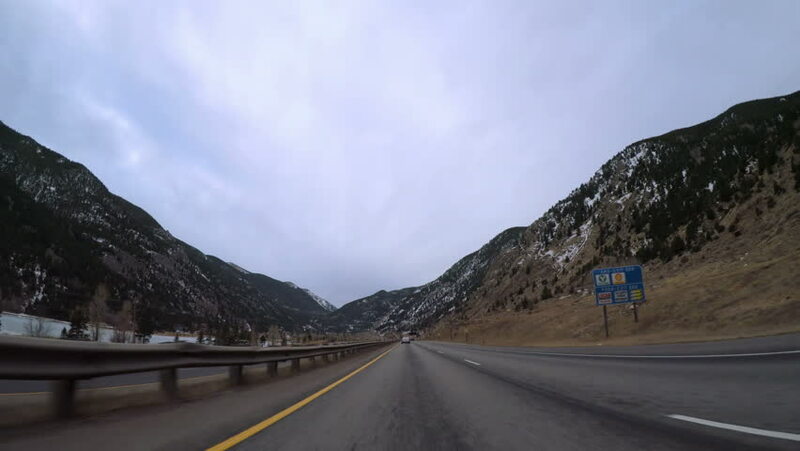 4k00:25Driving on interstate highway in the mountains. 4k00:36Denver, Colorado, USA-May 27, 2018 - Time lapse. Driving on interstate highway in the mountains.